Published: March 21, 2011 at 06:30 p.m. 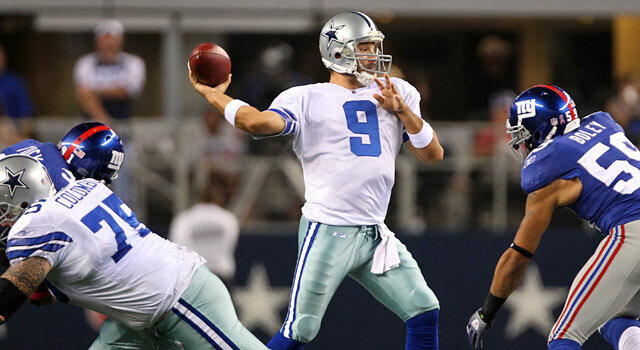 The Cowboys want to bounce back in the NFC East, and finding better protection for Tony Romo is part of the plan. Pat Kirwan examines the draft needs for all 32 teams, by division, this week. The biggest need for each team is listed first and followed in descending order. Jason Garrett is in his first offseason after leading the team to a 5-3 record as the interim coach during the second half of last season. Two picks from the 2010 draft class -- Dez Bryant (WR) and Sean Lee (ILB) -- take pressure off the need at those positions this time around, but the Cowboys only got two starts out of the entire class last season. There are glaring needs at defensive end, offensive tackle, safety and cornerback. A big defensive end with long arms would be best in the Cowboys' 3-4 scheme, with players like Cal's Cameron Jordan or Wisconsin's J.J. Watt a good fit. Doug Free did a nice job at left tackle and is flexible enough to play either side, which gives them a wider range of tackles to choose from in the draft. In the secondary, the Cowboys have been looking for a safety who excels in coverage since Roy Williams was in Dallas, and a decision also has to be made on veteran cornerback Terence Newman. With three picks in the top 71, the Cowboys should hit their top needs. The Giants won 10 games last season, but it didn't feel like a success because they missed the playoffs. An aging offensive line means one of the biggest team strengths a few years ago is now a liability. A solid tackle should be available in the first round to fill the team's biggest need. Center Shaun O'Hara has been to the Pro Bowl, but couldn't stay healthy last season. His eventual replacement could be in this draft. The great Giants teams of the past always had very good linebackers, a missing element at this point. Jonathan Goff was adequate in the middle, and depending on where they go in the draft, he could stay inside or move outside. A big defensive tackle to contribute in a four-man rotation would help, especially in running situations. If the Giants don't think Kenny Phillips can return to full speed after major knee surgery in 2009, safety will also be on the list. » Should Kolb or Flynn be traded? The Eagles made the right calls in parting with Donovan McNabb and Brian Westbrook last offseason. Those moves helped create a shift toward a young, fast offense built around quarterback Michael Vick. The Eagles got an impressive 34 starts from their rookie class in 2010 and an upgrade on the offensive line is now in order, starting with right tackle and an interior blocker. A cornerback to play opposite Asante Samuel is an important need. Another linebacker also figures to be in the mix for new defensive coordinator Juan Castillo, given that middle linebacker Stewart Bradley struggles to stay on the field. Expect at least one defensive lineman to be taken, and possibly two, considering rookie defensive end Brandon Graham tore his ACL late in the season and the Eagles didn't invest in a defensive tackle until the seventh round last year. If the labor issues are solved by time the draft occurs, the Eagles might trade quarterback Kevin Kolb, which could bring at least another second-round pick in return. With Donovan McNabb's future in Washington uncertain, the Redskins have the worst quarterback situation in the division. To make matters worse, outside of first-round pick Trent Williams, the Redskins got nothing from last year's draft. Can the Redskins stay at No. 10 and draft a franchise quarterback? The club is still recovering from the inability of 2008 second-round picks Devin Thomas (No. 34) and Malcolm Kelly (51) to develop into top-flight receivers. The conversion to a 3-4 defense last season didn't go as planned for coordinator Jim Haslett. Problems at nose tackle caused by Albert Haynesworth and the lack of a pass rush opposite outside linebacker Brian Orakpo were major issues. An offensive lineman with center and guard skills, such as Wisconsin's John Moffitt, would help in a later round. After the second round, the Redskins don't select again until 141st overall. General manager Bruce Allen is a master of draft day tactics and might have to move down in the first and/or second rounds to obtain more picks in the top 100. *The draft picks are unofficial at this point. The league is expected to release the complete draft order by the end of March.